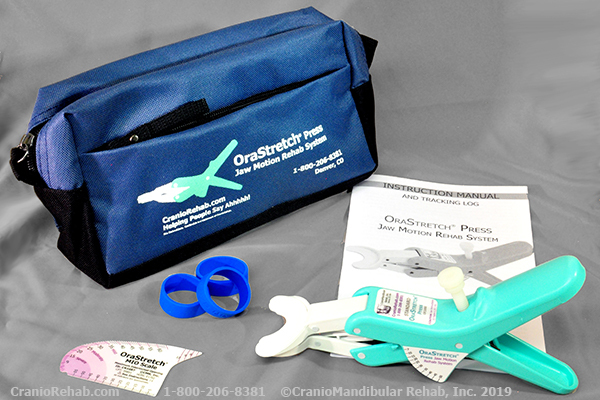 CranioRehab offers two jaw motion rehab systems for the mouth, jaw and TMJ, providing stretching and passive motion: the OraStretch Press and the TheraBite System. With natural motion of jaw. With natural motion of jaw. 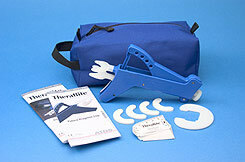 The OraStretch press and TheraBite jaw motion rehab systems are handheld units designed to stretch a user's jaw to treat trismus, dysfunction and hypomobility. The devices use passive motion to stretch the user's jaw, joint and facial tissues for increased mobility, flexibility, and function. 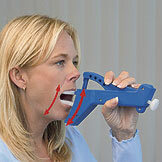 By utilizing a jaw motion rehab system, a user can increase their range-of-motion, improve their jaw and joint function, and reduce swelling and pain. *US Only. See the product page and Terms and Conditions for more information.